How to cure cold sores? 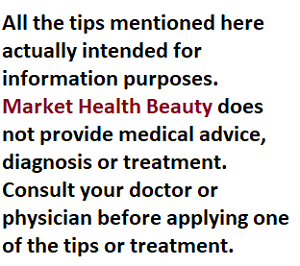 Homepage / Health Tips / Skin Care Tips / How to cure cold sores? It turns out that nearly two-thirds of the global population infected with herpes simplex virus type 1 (HSV-1), according to the latest report released by the World Health Organization (WHO). 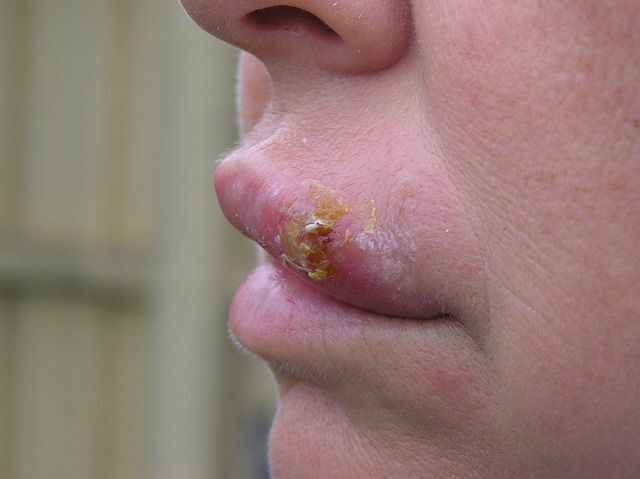 WHO Researchers estimates there are 3.7 billion people under the age of 50 are infected with HSV-1, known as the cause of cold sore. Cold Sore or sores on the lips due to herpes virus, can be cured with Aloe Vera mucus. Aloe Vera contains anti-bacterial and anti-inflammatory which can cure the herpes simplex virus. One of the benefits of garlic is to have anti-inflammatory properties. This could help and relieve the pain and swelling caused by the cold sore. You can simply put the crushed garlic on a cold sores or find a garlic supplement to help speed up the healing process. Another way is to boil a few cloves of garlic and make a drink or can be cut into pieces, then chopped up and taken with carrot juice. Another way is to add chopped garlic cloves in it and made a salad or just add to the variety of food. To eliminate the effects of unwanted odors after eating garlic, eat mint leaves or some parsley stems. Lemon balm show antiviral and anti-herpes characteristics for producing polyphenolic compounds, including tannic acid. The body’s cells contain receptors that relate virus. When a virus trying to overwhelm the cells, polyphenols compounds have the ability to control the virus receptor places on cells. It also works to prevent the virus closely in these cells after successfully mastered the places. Thus, the infection can be prevented its spread. Lemon balm contains several vitamins and antioxidants that are able to remove the free radicals that cause cell damage. To make the cream to cure herpes, can be done in boiling olive oil or coconut oil, and add honey bee wax. Then, let the lemon balm powder, mix and filter. Let stand until cool. In addition to using this cream, drink lemon balm. How to make, it was a boil 3 tablespoons lemon balm in one glass of water. The herbs contained in herpericin that helps get rid of herpes simplex virus and several others. Five spoon St. John’s Wort in a glass of boiling water can be made tea. Use the tea as a compress cold sores by using a piece of cloth. In addition, consuming the herbs. The main content of red chilli is capsaicin. Some research suggests that these substances have the ability to prevent the outbreak of cold sores. If used in place of the pain, it will help relieve the pain caused by its wounds. However, for some people, it can cause local irritation, so it should be used sparingly. Echinacea is effective against viruses and boost the immune system. These herbs also relieve the skin would crack, which usually accompanies the herpes ulcers. Echinacea in the case of herpes, used as a dye. Add a half teaspoon of Echinacea tea or juice. Consume three times a day. Golden seal is an effective antibiotic and antivirus, contains two active compounds, namely berberine and hydrastine. Both compounds are drugs that can overcome the acute inflammation that occurs along with herpes. Golden seal leaf can be made of herbal beverage or liquid produced is used as a compress. Place it on the cold sores area. In addition to as antivirus, golden seal is also a stimulant for the immune system if used in a form of a marinade or powder. Golden seal leaf or root powdered and soaked in water overnight. Drink the herbs after being given licorice root or honey. Arginine acids basically considered as substances that reproduce the herpes virus. Lysine is considered a barrier to viruses reproduce themselves. Therefore, the herbalist trying to find plants containing lysine (the amino acid requires arginine acid). There are some fruits and vegetables that contain lysine. Fruits include peach, pear, tin, apple, tangerine (grapefruit). As for the group of vegetables, such as black beans, chili, and soy. There are some essential oils are fragrant and used to resolve the herpes. The oil is used in a way to pour a few drops on a piece of clean cloth or shed directly to place affected by the virus. Among the essential oil, there are Echinacea oil, roses oil, eucalyptus oil, bergamot oil, and lemon oil. Some herbal drinks that have the ability to fight viruses and stimulate the activity of the virus, among others teas containing inhibitor, apples contain pectin. Within the group of fruits, there are plums, grapes, pears, peaches, and tin. These fruits contain tannins that contribute to suppress the herpes virus. Thank you very much for reading How to cure cold sores? Hopefully useful. Previous post How to cure cancer? Next post How to cure chapped lips?